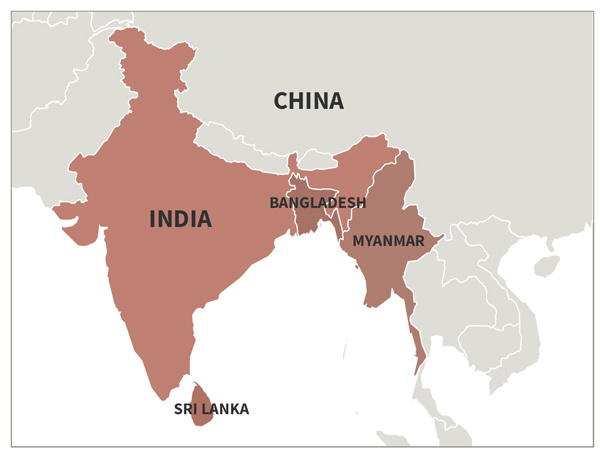 A month of monsoon rains is wreaking havoc in India, Nepal, Bangladesh and Pakistan. It is considered the heaviest monsoon rains in years. More than 1,200 people have lost their lives so far from flooding and landslides, and the United Nations estimates that around 41 million people have been affected. Those living in regions that experience annual flooding during the season of monsoon rains are shocked at the magnitude of these floods. Mumbai, one of India’s most populous cities, received an entire month’s average rainfall in just 24 hours. One-third of Bangladesh’s landscape is reportedly submerged, and nearly 1,500,000 acres of farmland, which is a key component of the nation’s economy, are damaged or destroyed. Hundreds of thousands of acres of crops are completely destroyed between the four nations, raising concerns of food shortages. Displaced families are gathering under makeshift tents and tarps. They are at risk of disease and in need of food and water. 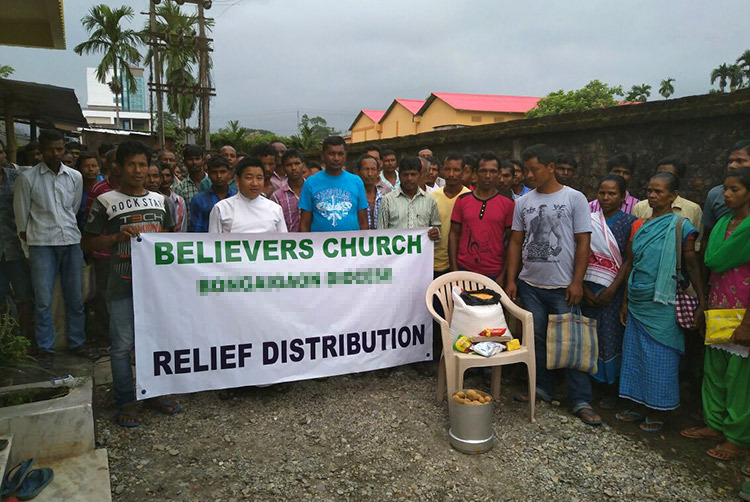 Relief work is hindered by heavy rainfall, but efforts to reach those in need continue. GFA’s field correspondents in these nations are sending numerous reports and photos of the damage and chaos in their areas, telling of the devastation and asking for prayer. Please pray for the flood-affected people, that their hearts would be comforted by the Lord. Please pray for the people who have lost their dear ones, that God would comfort their hearts. 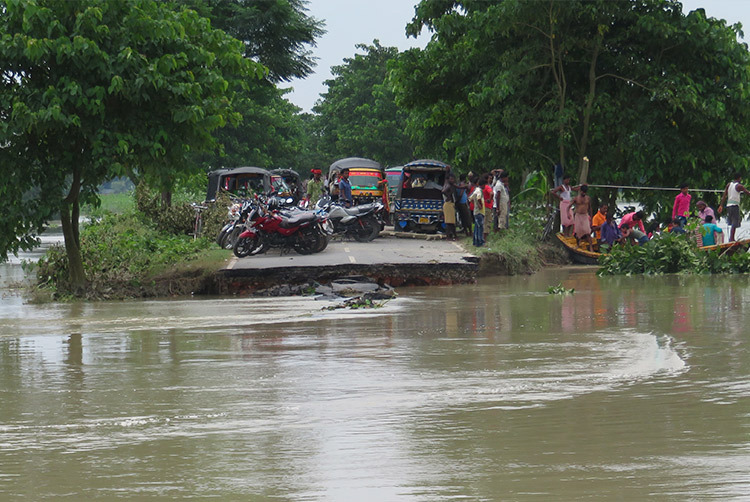 Pray for the safety of people who are living close to rivers, that God would protect their lives. Pray for good health, that those affected by this flooding would not get any contagious disease. Pray for the government [in all these nations], that relief work could be done at the right time and each victim should get relief materials. 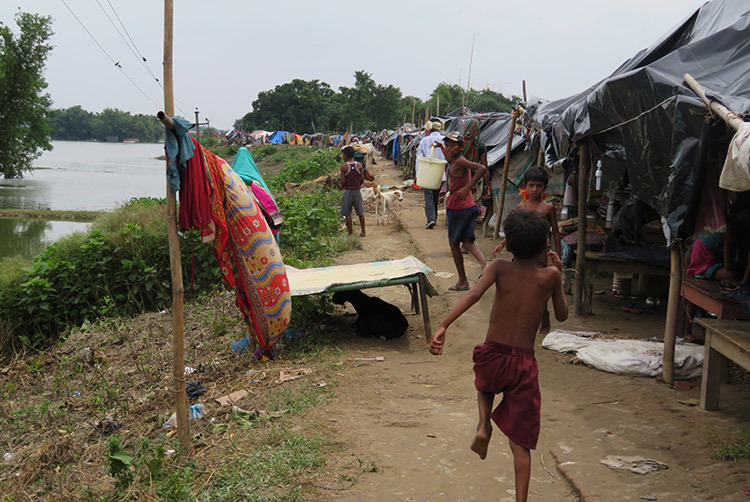 Pray that epidemic diseases would not spread in the aftermath of floods. Help Disaster Relief teams serve survivors of flooding and other disasters by giving toward the Disaster Relief Fund.